a.We as a manufacturer are Specialized in all kinds of cold roll forming machine So for the design and produce there are much experience and professional people. b.Customers’design, color and logo are also accepted! Our specialized experts and skilled workers keep devoting their hard working to ensure the machine with high quality. c.Panasonic PLC system:Ensuring high accuracy and easy to operate! Full Automatic: Just input length of the sheets and numbers of the piece you need, then the machine will start to work as your order. 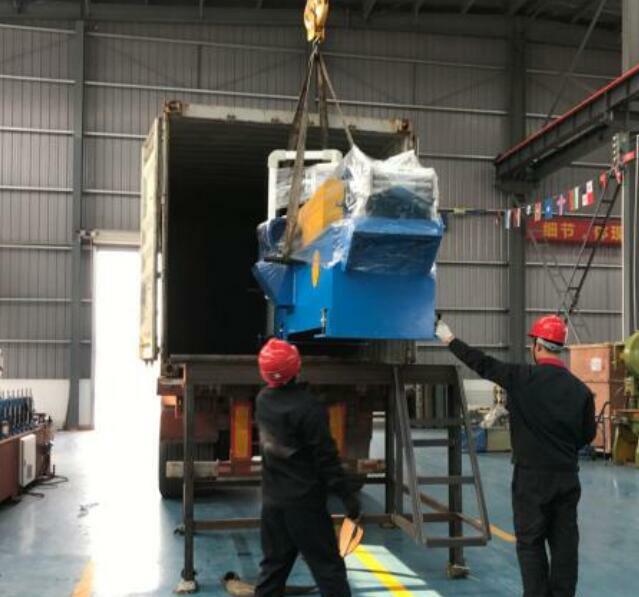 d.Our machines exported to the Southeast Asia, Middle East, Africa, North & South America more than eighty countries and regions.We have professional team, complete production system, high quality products, good service. e.Within the ONE-YEAR period, we could supply you the replacement parts free of charge for any damaged parts caused by quality problems. 1.Tighten to container with steel wire rope and welded angel iron. 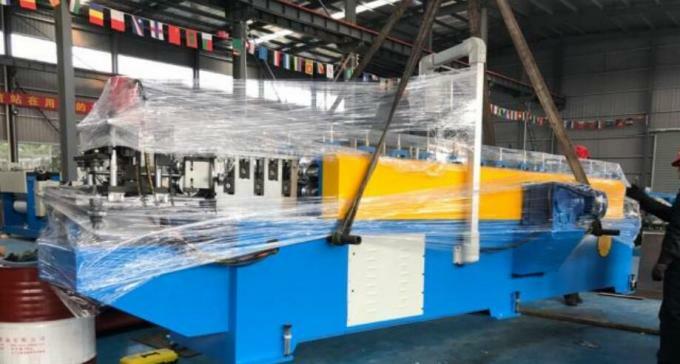 3.Roll forming machine PLC control system and moter pump are packed with water-proof plastic coverage.